Are you sick of being a statistic? Today, 2 out of 3 Americans are overweight or obese. If you are over being overweight, and want to be on the lean side of this abysmal statistic you are in luck! Here we have a list of 25 of the best exercise machines for weight loss at home, reviewed. Use one of these machines, and from the comfort of your own home or garage gym you can shed the fat, get fit, feel better, ward off heart disease and diabetes and increase your chances of living longer. Choose one piece from among these 25 and with a small daily time investment and a solid commitment you will be at your goal weight and feeling great faster than you thought possible. 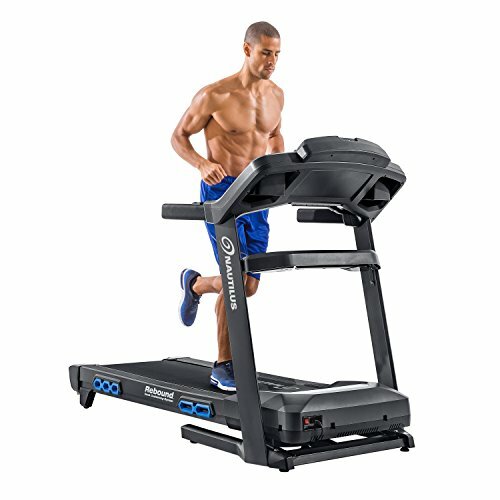 How does the treadmill stack up against other options? You can read, watch movies and multitask on a treadmill. Running burns lots of calories, use the incline and you burn even more. Treadmills can be used for walking to ease into exercise at your own pace. The treadmill routine can get boring for some. Treadmills can be pricy, but there are good ones to be had for under $1000. While a treadmill is not the most compact or space saving piece of home gym equipment, they are small enough for most people’s home gyms. 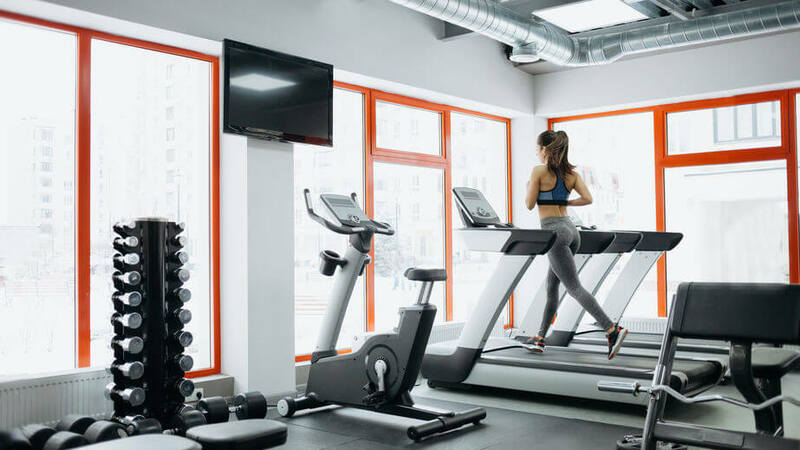 As far as how much space you need around the treadmill, industry standards say you need one meter in front, a half meter on each side, and two meters behind the treadmill clear in case of emergency dismount. Who said the treadmill is boring? Check out these treadmill workout videos and see what you can do. Reverse incline treadmill, sprints, jog and squat, leg lifts and more. Get the results you want with the Bowflex premium treadmill. The BXT116 has a cushioned deck and a commercial gym quality feel that is so nice to jog on, it will keep you coming back, and keep you on track to meet your weight loss goals. The Color LCD keeps you motivated by displaying your calories burned front and center and the tachometer display encourages you to pick up the pace. This Bowflex is one of the best home equipment for weight loss. 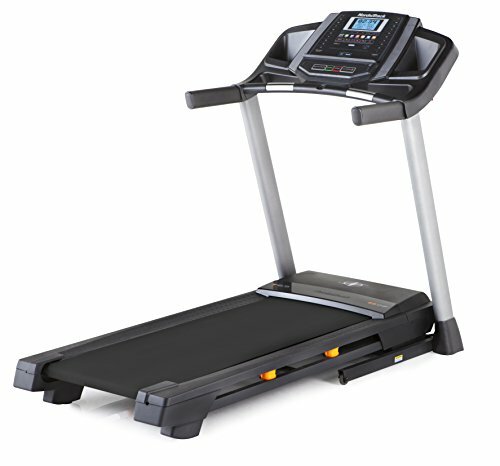 The NordicTrack T 6.5 S treadmill offers an affordable way to get moving and lose those unwanted pounds. The 20 built-in workouts help ward off boredom and the 10% max incline will keep you challenged. It has a 300 lb weight limit and a 55”long belt so it can be used for walking, jogging and light running. If you have bad knees but still want an option to walk, jog or run, this Nautilus treadmill may be right for you. It features specially designed StrikeZone deck cushioning to lessen impact from running and jogging. It has a top speed of 12 miles per hour and a 60” long desk so it is good for running. With a max user weight of 350 lbs and sturdy construction it also accommodates larger runners. If you like the idea of running off the weight, try this option. This ProForm Treadmill is a great machine for losing weight. Its powerful 3.5 CHP motor enables a top speed of 12 miles per hour at a max incline of 15%. 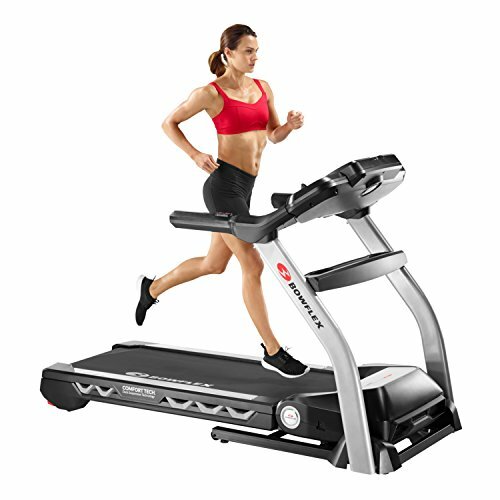 This treadmill works for tall and heavy users with a max user weight of 350 lbs and an ample running deck that is a generous 60 inches long – ideal for jogging and running. How do all in one home gyms stack up against other options? 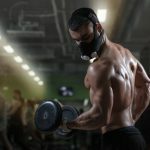 All in one gyms focus on strength training which raises levels of the slimming growth hormone. AIO Gyms work every muscle group in just one machine. 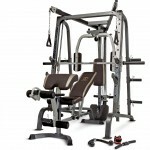 AIO Gyms are less expensive than buying each piece of equipment separately. AIO gyms usually have to cardio option. AIO gyms can be expensive. 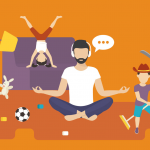 All in One Home Gyms take up a moderate amount of space. Since an all in one gym is all you need, you just have to make space for it and not a lot of other equipment. This reasonably priced all in one home gym by Marcy will help you build muscle and shed unwanted pounds from the comfort of your home gym. This all in one home gym includes 150 lbs in the weight stack which translates to 300 lbs of resistance. The special features include a dual action arm press that you can easily switch with just a pin, and a removable curl pad. 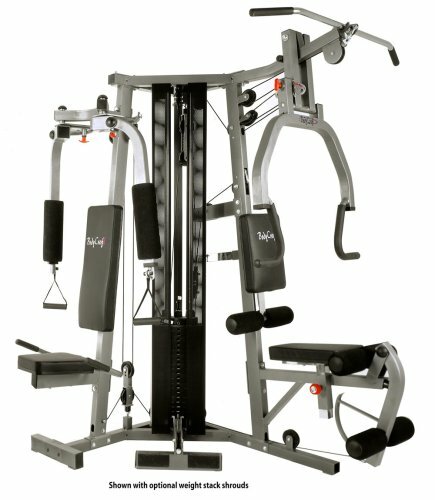 This machine is a great bang for your buck and a perfect way to get into lifting so you can start losing weight from home. This Factory fitness gym is built by Body Solid specifically for home and garage gyms. 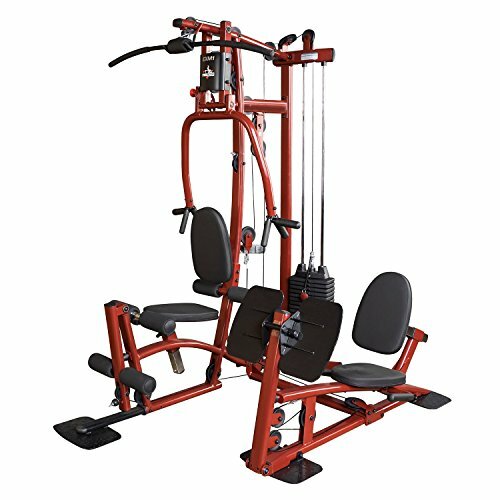 It has an optional leg press, chest press, lat pull, leg extension and three pulley systems to target all major muscle groups. This all in one home gym includes 160 lbs weight stack for 320 lbs of resistance, plus you can add 50 more pounds as an upgrade. 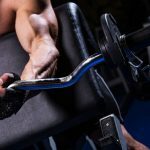 This machine builds every muscle group, is built by a reputable company and is offered at an excellent price-you can’t lose here. The Bodycraft Galena Dual bench system is all you need to build muscle and cut fat from home. The 150 lbs weight stack provides up to 300 lbs of muscle building resistance. The unit includes vital movements like chest press, lat pull, pec deck, leg extension, leg and arm curls, all kinds of flys and more. Since there are two stations on this all-in-one gym you can work out with a partner too. Want to see more All in One Home Gym options? Check out our list of the best All in One Home Gyms here. How does a stair stepper stack up against other options? GREAT for building a round firm toned shapely behind. Works glutes, quads, hamstrings and calves. Burn up to 266 calories in just a half hour. Stair steppers can be pricy. Some find the stair stepper routine boring. Stair steppers do not take up a large amount of floor space. Watch those ceilings! 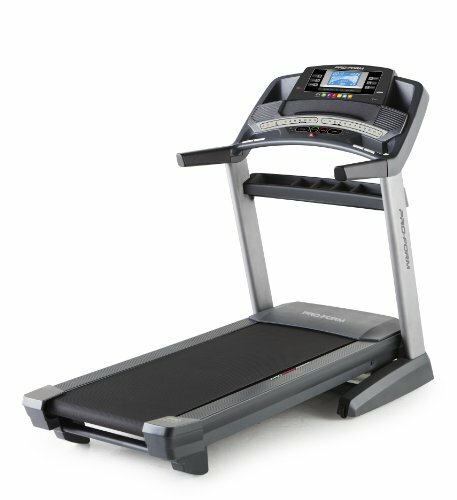 Some stair stepper models require 10-foot ceilings to accommodate the height of the stepper and the rider. You would think a stair stepper workout is pretty straightforward, just keep stepping, right? There are stair stepper workouts you can try to spice up your stair stepper routine. 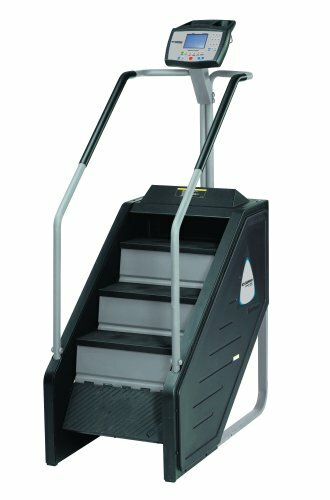 This is the real deal, the Stairmaster Stepmill mimics climbing stairs in real life with a revolving set of standard height/width stairs. Climbing stairs is a fast way to burn calories and if you keep at it, your weight loss goal will be in your sights soon. If you want the “real stairs” experience in the comfort of your own garage or home gym, this is the stepper for you. The Sunny Stepper is a good budget stepper for users under 220 lbs. The Sunny stepper offers an intense fat burning stepper session at a very accessible price and would be a great addition to the home gym. This stepper has a small footprint to begin with, plus it folds up and is not too heavy to move, making it good for small spaces. 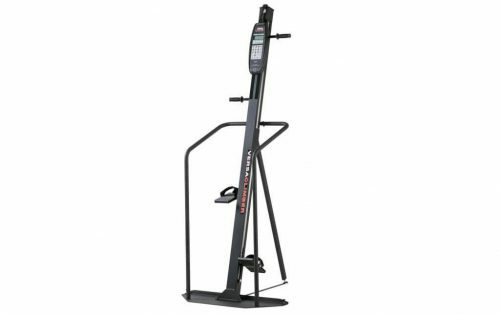 The Versaclimber is a commercial quality stepper machine with a small, space saving footprint and a smooth, secure climbing motion. The max user weight is 350 lbs and it holds steady, even during intense training sessions. 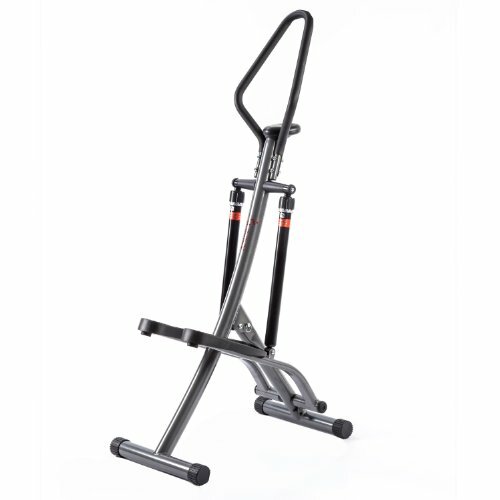 The Versaclimber has the added benefit of offering a full body workout if you choose to use the arm handles to engage your back and arm muscle as you step and climb. 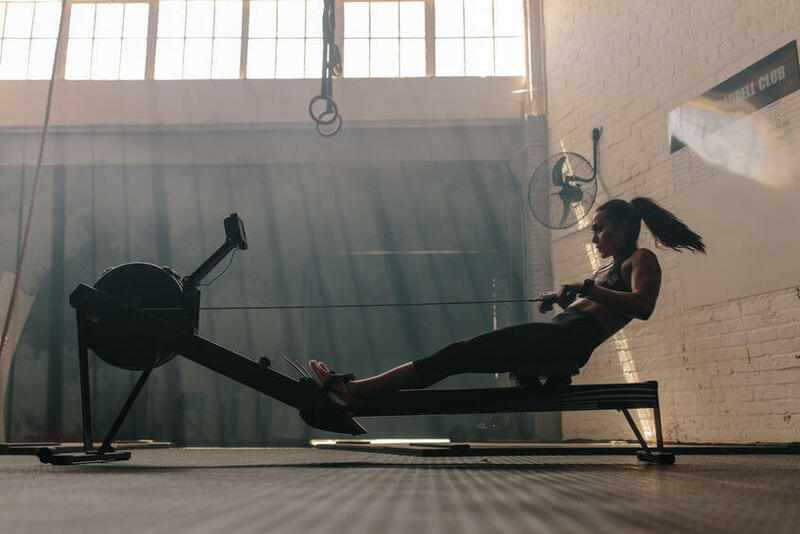 How does a Rower Erg stack up against other exercise machines? IMO a rower, used properly, is the best workout equipment for weight loss from home. It is fast and intense, can be used for HIIT and Tabata or just good old cardio. Burns between 300 and 400 calories in just 30 minutes. Most machines fold up so it’s one of the more space saving options. 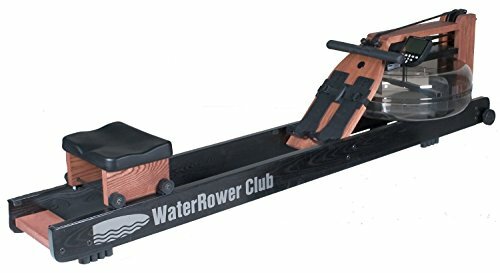 You can pick up a really good rower for under $1000. Warning-Rowing seems easy but gets INTENSE fast! Form must be good to get the max benefit- there is a learning curve. Most rowers take up about as much space as a stationary bike but since many are folding, you can store them using even less space if you need to. 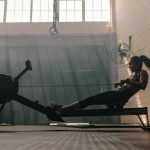 There is not a lot of variation when it comes to a rowing machine workout. 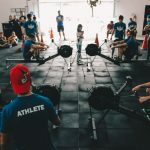 However, what you must know about rowers is that if you are not using them right, you are not getting the full benefit or worse, setting yourself up for injury. Using the erg incorrectly is extremely common! Check out this video to find out how to use the rowing machine. 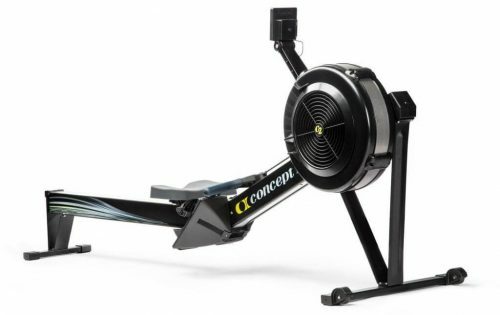 The Concept 2 is arguably the most popular rower on the market today. It has a utilitarian look and is a club quality machine, in fact, it’s the rower you will find in most CrossFit gyms. 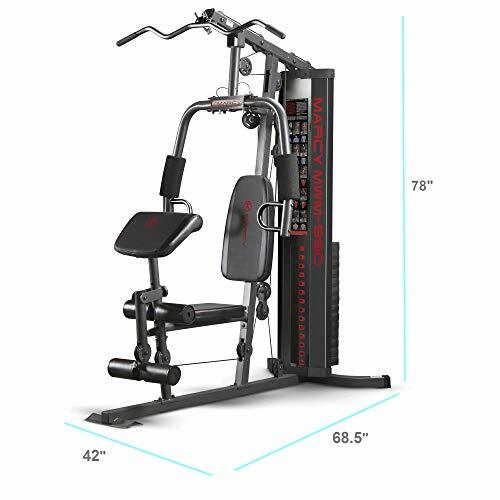 It holds users up to 500 lbs, is constructed mostly of steel and aluminum, and is sturdy and stable so you can go all out as you work to shed excess fat and the machine will not wobble or waver, and it will last for many, many years to come. The water rower offers the most natural rowing experience in terms of feel and sound thanks to the water-filled bowl that not only adds a soothing water sound, but creates life-like resistance as you row. This machine can hold virtually any user with a max user weight of 700 lbs and since it is made from solid ash wood that absorbs noise and vibration, it is very quiet to operate. 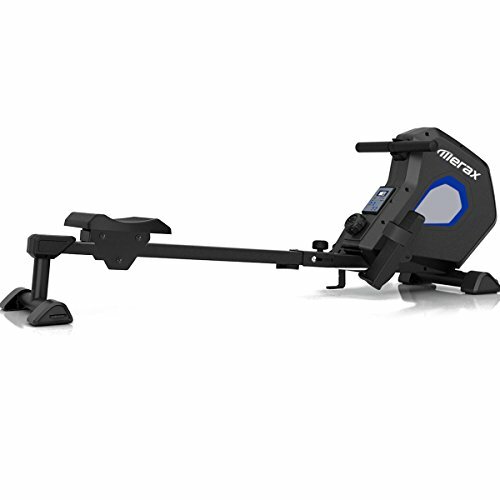 This budget priced rower offers a decent, fat burning workout for less than half the price of the competition, but, this rower is for those under 264 lbs whereas the competition can hold much more weight. If you are tight on space, this rower folds up, plus it is pretty quiet so you won’t disturb others while using it. How does an elliptical trainer stack up against other options? 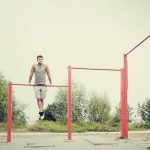 One of the best low impact exercise equipment for weight loss. Can read and watch movies or multitask while using. 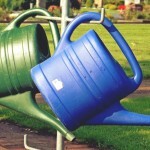 Can get tedious – but still a great option for those who like to multitask as the workout. Elliptical trainers can be a large investment. 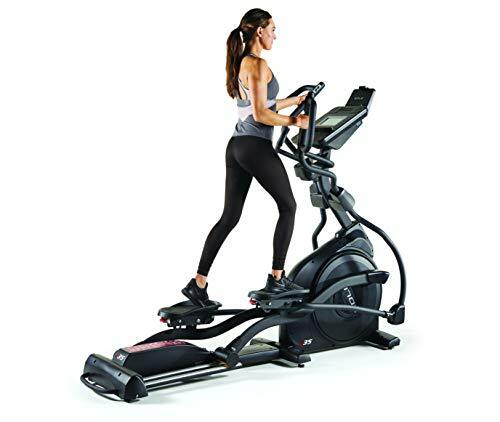 The elliptical trainer takes up about as much space as a treadmill, except with an elliptical trainer you do not need as much space behind the machine. A couple of feet clearance should be fine. 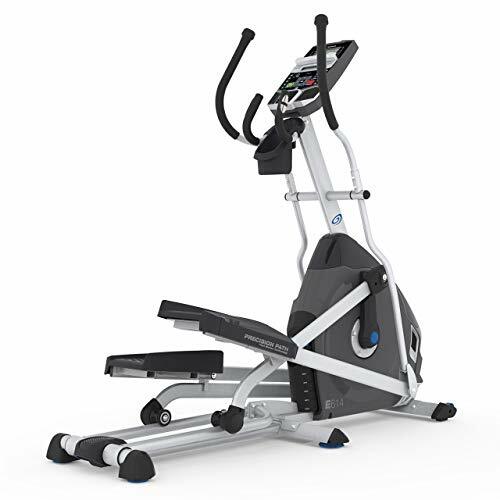 The Precor EFX is a Club level elliptical which means it is a smooth, solid, noise free ride. 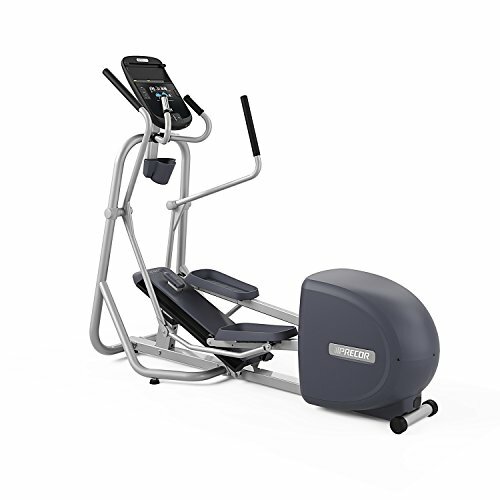 The best feature of the Precor EFX 222 is the adjustable stride length. It allows you to target different muscles and change up your routine. 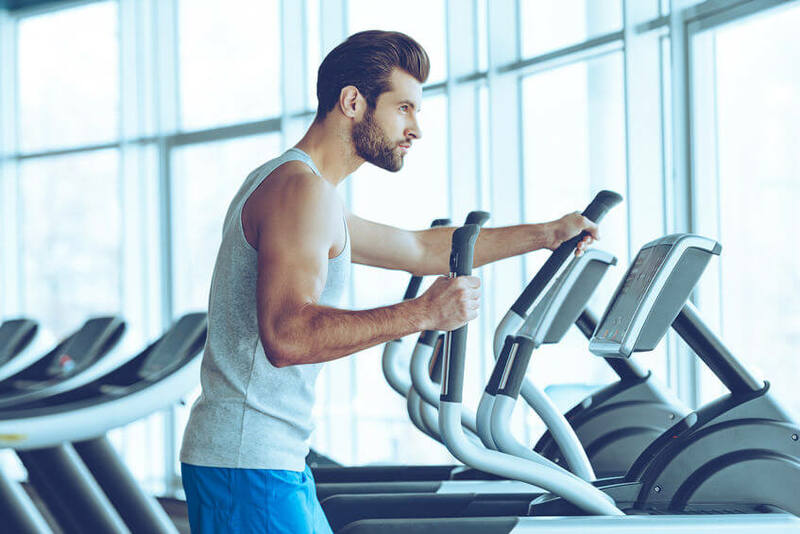 You can set up the stride to have the elliptical feel almost like a stepper with a high stride, or adjust the stride to be nearly flat with a low stride. This keeps your muscles challenged, helps ward off boredom and encourages calorie burning. This Nautilus E614 Elliptical trainer is one of the more affordable elliptical trainers available. It rides like a much more expensive machine. The max user weight is 300 lbs which is not as high as others, but the tradeoff is in the price tag. It has 20 levels of resistance and 22 programs installed in the dual track LCD system so you won’t get bored as you stride away excess fat. This high quality, low impact elliptical trainer is the perfect tool to help you lose unwanted fat without wrecking your knees and joints. Sole makes a solid machine that will not knock, grind or fall apart in a few years. The machine can handle users up to 375 lbs without issue and it gives a smooth ride, just like one you would find at the club or gym. 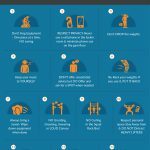 How do resistance bands stack up against other options? Can be used to work the whole body. Portable and super space saving. Endless variety of exercises can be done using resistance bands. You must come up with a routine and decide which exercises to do. Bands may break if used or stored improperly. They literally fit in a drawstring bag. You can take them just about anywhere and space will not be a problem. There are tons of resistance band workout videos on YouTube and around the web. Here are a few that are geared toward weight loss. Bodylastics makes the highest quality resistance band set with the best handles, a sturdy secure door anchor and up to 98 lbs of resistance, higher than the other guys resistance max. 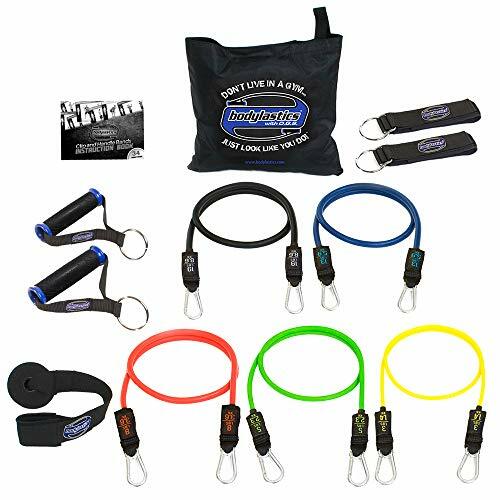 My favorite aspect of the Bodylastics resistance band set is the safer resistance band solution with anti-snap technology that will hold your weight and prevent the band from snapping your body in the unlikely event that the band snaps. 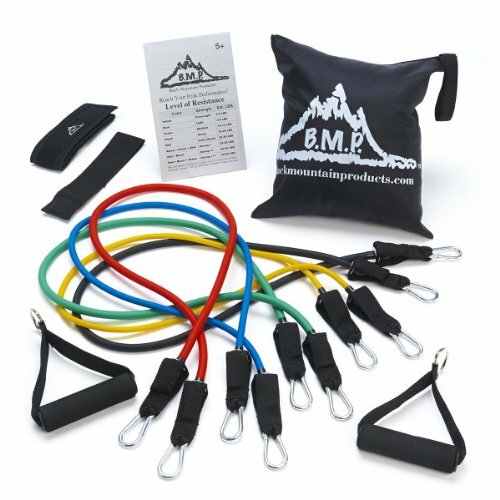 Black Mountain Resistance bands are made from long-lasting rubber and have handles superior to the competition. 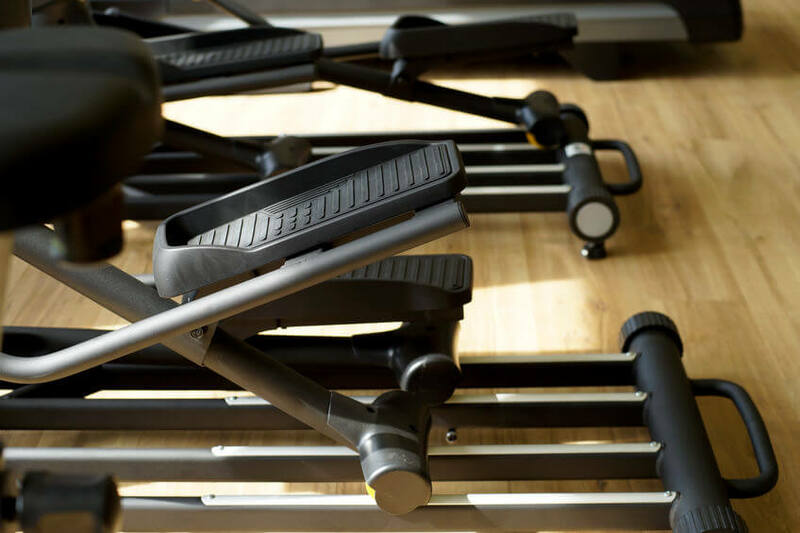 The set offers resistance of up to 75 lbs making it a great choice for seniors, beginners, or those who want less weight. This system is portable, takes up very little space and can be used for light weight strength training for all muscle groups. 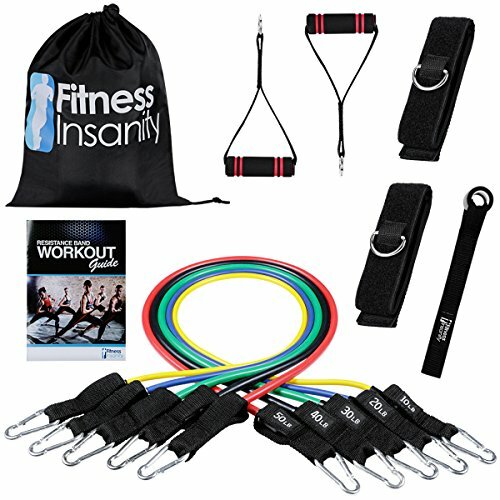 If you are on a tight budget, or want an inexpensive travel workout to meet your weight loss goals, the Fitness Insanity resistance band set may be the right choice for you. It offers up to 150 lbs of muscle building resistance at a very affordable price. How do air bikes stack up against other exercise options? Move both legs and arms-Max Cardio in minimum time. Potential to burn a lot of calories in a short amount of time. Not much variety in an air bike workout. Air bikes are one of the best equipment for weight loss at home. Air bikes take up about as much space as a rower or elliptical trainer. Most home gyms have space for one, and ceiling height is not a problem either. 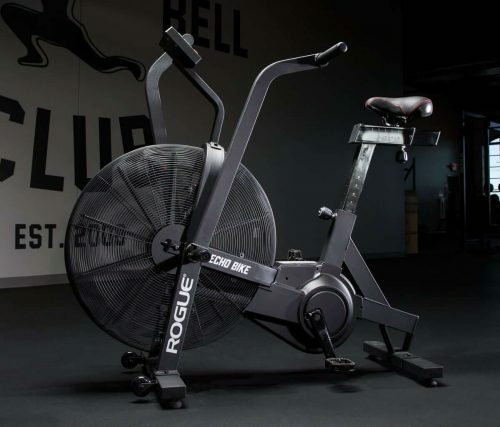 The Rogue Echo Air bike is built just like all other Rogue Equipment – like a tank! It has a max user weight of 350 lbs, nearly all steel construction, smooth belt drive and an adjustable seat. You can pound out a HIIT, Tabata or Air Bike WOD no problem with this beast. You will not have to worry about it wobbling underneath you, no matter how hard you ride it. The Assault Air Bike is the air bike used by most CrossFit gyms. It is built like a tank and can handle high usage and riders up to 350lbs. It is also highly adjustable and able to accommodate smaller riders too. This would be a great air bike for a family home gym. One of my favorite things I like about this air bike is that it uses very few plastic parts, unlike the competition. 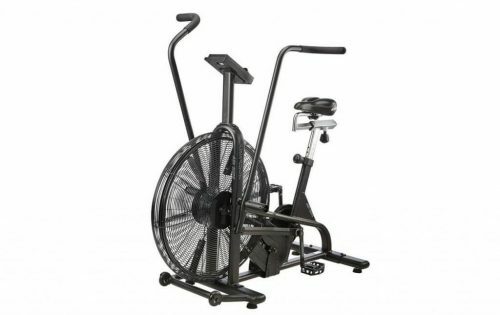 The Octane Fitness AirdyneX is a commercial grade air bike that is perfect for fat burning HIIT and interval training. An air bike is an excellent tool to burn a lot of calories in a short amount of time. The 350 lb max user weight, reinforced pedal crank and sturdy, solid construction make it ideal for big and tall users. 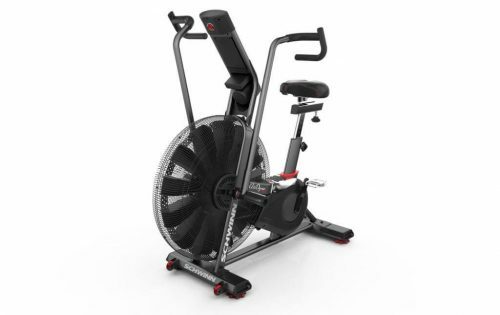 The Schwinn Airdyne pro is another great option for shedding weight. It does not have the reinforced crank like the Octane Fitness but it is plenty strong for home use. It is also a little less expensive than the commercial grade Airdyne bike. My favorite feature is the on board LCD that displays your speed via a tachometer and motivates you by displaying the calories you are peddling off. I also like that the bike is belt driven, which feels smoother than chain driven air bikes. When you cannot be at home, having the best home exercise equipment for weight loss won’t help much. That’s why I have included two travel exercise options that are completely portable. The TRX system is a tried and tested portable workout system that has proven itself in both home gym and commercial gym settings. 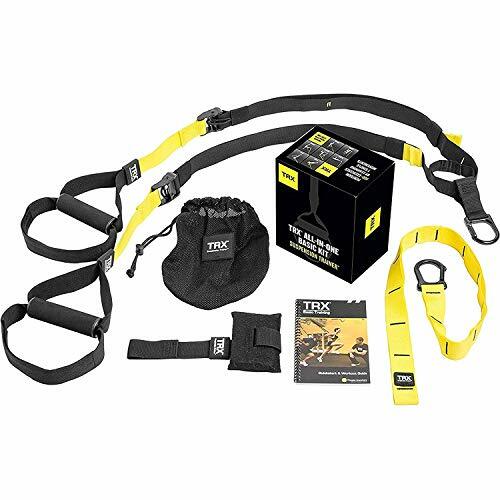 You can get both cardio and strength training done on the TRX suspension trainer and all you need is a sturdy door to anchor it to and you can get started. The trainer is affordable compared to other weight loss equipment, and extremely space saving. If you need to lose weight for the military, or shed the freshman 15 from too many trips to the dining hall, the TRX fits your living conditions and your fast paced lifestyle. The Body by Jake Tower is a portable full body workout you can do anywhere you find a sturdy door available. 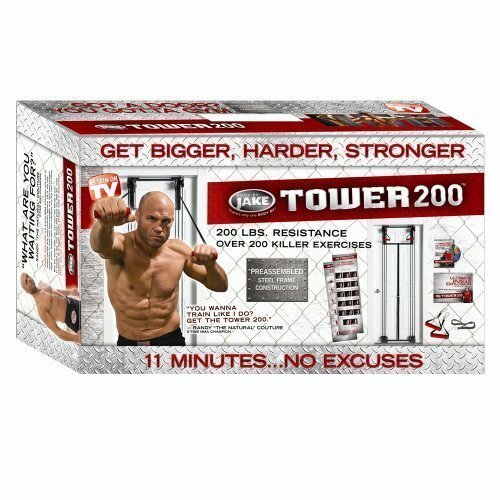 I love this option for weight loss because strength training is just as important for losing weight as cardio, and this tower provides a full range of resistance training. It is offered at a price that is accessible to anyone, and takes up so little space just about everyone could use it at home. The resistance is adjustable, so it works for beginners and is a low cost, small investment option to get started on your weight loss journey. 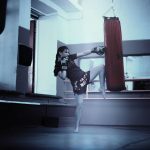 I hope this list helps you find the best exercise machine for weight loss at home for you. 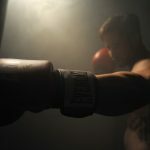 Exercise is great for weight loss, but it is only one part of the puzzle. Weight loss is 20 percent exercise and 80% diet. As they say, everything starts in the kitchen. 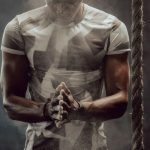 I invite you to check out our fitness upgrade program to get both your exercise and diet on point so you can hit all your fitness goals this year. Also, sign up for the Garage Gym Power newsletter and receive an email to let you know we have new stuff out. Your subscription includes exclusive access to guides and PDFs not found elsewhere on the site.